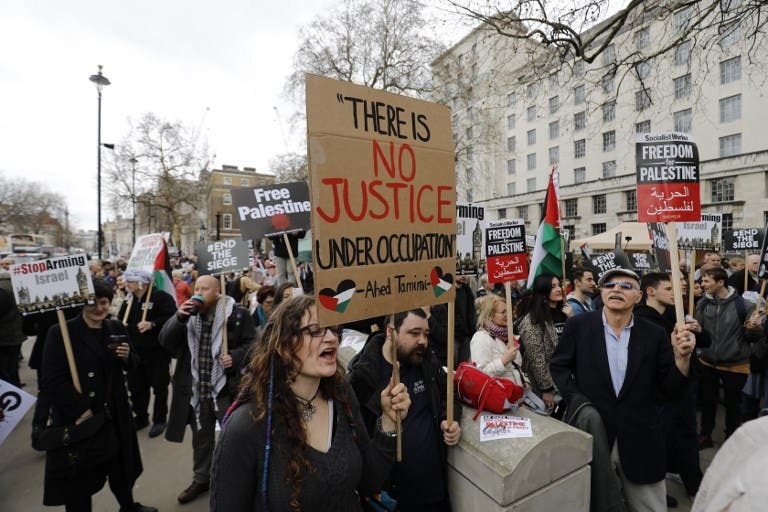 Hundreds of protesters gathered at Whitehall opposite Downing Street in London to protest in support of Palestinians in the Gaza Strip. 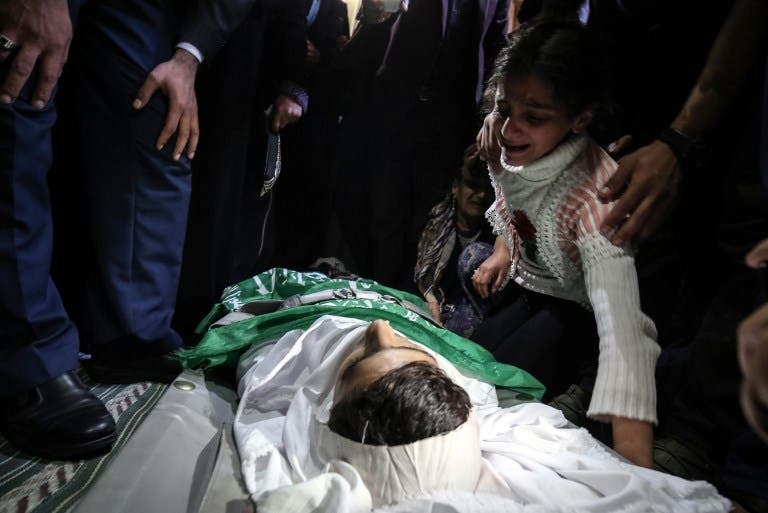 This was after Israeli troops killed nine during the latest border clashes. Thousands of protesters approached the border fence around Gaza for a second Friday in a row, burning tyres and hurling stones at Israeli forces, who responded with tear gas and live ammunition. 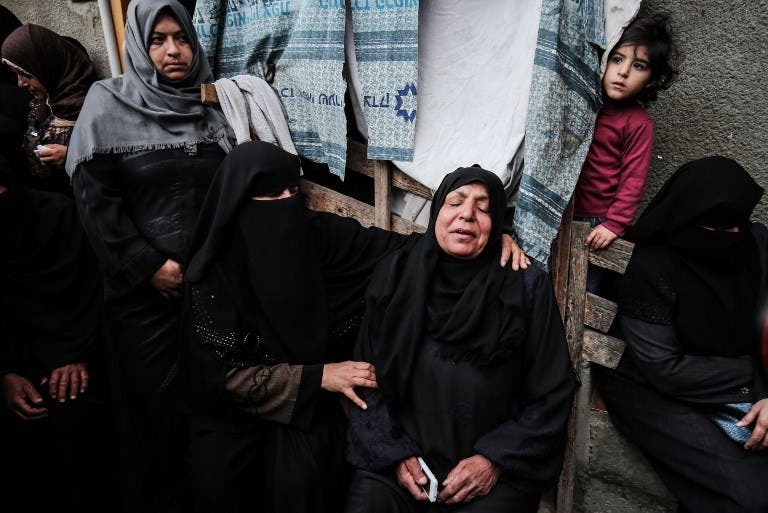 In addition to the nine dead, at least 491 were wounded by Israeli gunfire, the health ministry in the Hamas-run Gaza enclave said. 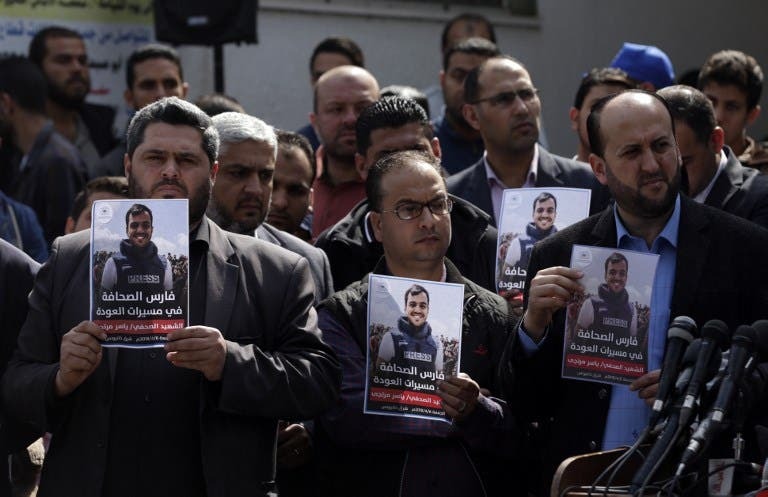 Among those killed at Friday's protest was Yasser Murtaja, a photographer with the Gaza-based Ain Media agency, who died from his wounds after being shot, the local health ministry said. Murtaja's family confirmed his death, with witnesses saying he was close to the front of the protests in Southern Gaza when he was hit.